Well things have been a bit manic recently so updates were last thing on the mind. But alas here we are April 2015 and here is an update on how things are going. Well 12 months since the rebuild finished, its MOT time again. Car went in for its test Tuesday 7th April. It failed 😦 The issues were headlights weren’t bright enough, the drivers door wouldn’t open from inside the car. So all in all not too bad, but the worst item was down as an advisory but actually caused the end of the test. A UJ in the rear prop had failed to the point where the tester wasn’t willing to carry out deceleration tests. The prop was unbolted and the UJ’s purchased and replaced. the prop then bolted back on and boy did it make a difference. The door not opening was a case of adjustments on the mechanism for the handles just shortened them a bit and opening now much easier. The headlights were the biggest concern. As I have high performance bulbs fitted to the car when the tester said they didn’t register on the testing machine. So reading around the subject points at a burnt out light switch causing poor performance. The solution is to put a relay feed to the lights. I purchased a Red Bison Boomslang from Paddockspares for £30 it was a bargain for the entire kit. I had it fitted in no time and made a massive improvement, its a product I would recommend to anyone. Well not much work has been done on the car since November, panels are now painted but not yet fitted to the car. The accelerator has now been refitted and the car can be driven around. The main reasons for this is we have been busy working on Jordan’s Discovery 2, which since november has had a number of coolant hoses as it has been loosing coolant and the pressure build up has popped them. We have now replaced the suspected cause of the coolant loss and so far so good. It has been plodding along as normal. We had a bit of fun while jet washing it ready for MOT when the jet wash smashed the sun roof. so that has been replaced and the alpine windows have been taken out and covered over. As Matthew has decided he isn’t friends with 2 / 3 of us working on Land Rovers there will be no further updates about his car as we dont see him any more. 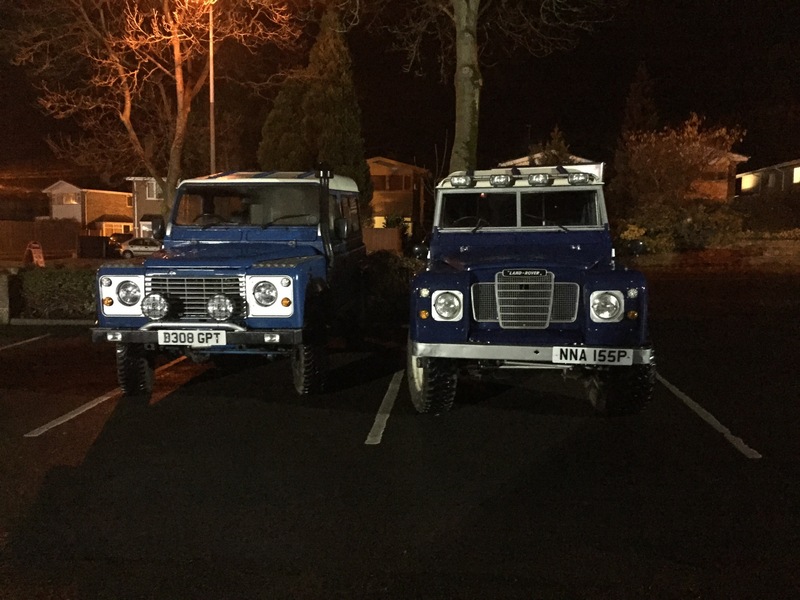 Yes we have been joined by two more land rovers that we can enjoy working on. Daisy The Defender is a 2006 TD5 90, owned by some friends we have had a little bit of work to do on the car already including replacing a failed fuel pump and then adding some new bits such as chequer plate wing tops and a new bumper. With being such a new car there shouldnt be that much to do on it for now. Tom’s 300tdi 90, this is going to be our next big project, Toms car is in need of a new chassis, due to the amount of rust it has, we could go down the route of repair pieces but Tom fancies doing a chassis, so one has been ordered so big project ahead for the summer. There should be plenty of updates on this one. 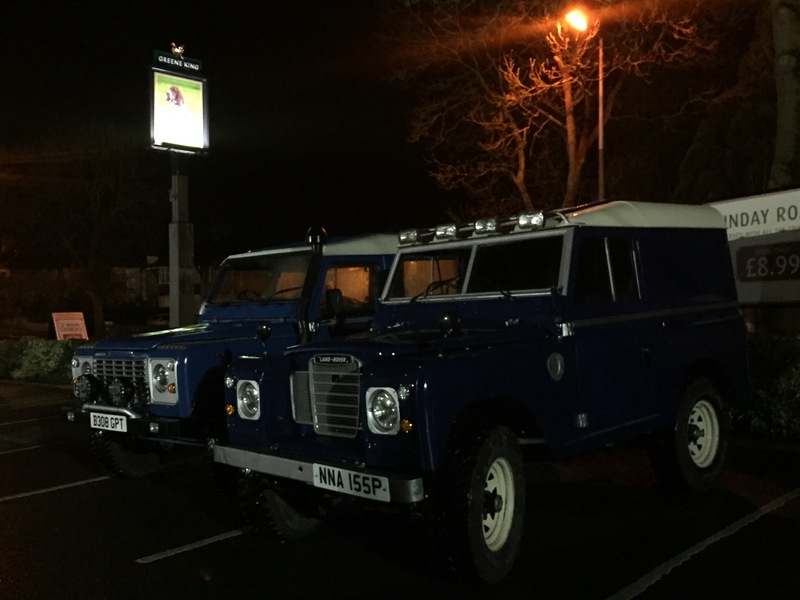 This entry was posted in 1966 Series 2, 1977 Series 3, 1983 Ninety, 1993 Discovery 1, 1996 300TDI 90, 2006 TD5 90, Bodywork, Electrics, Land Rover, Parts and tagged 1966 Series 2, 1977 Series 3, 1983 Ninety, bodywork, Chassis, future, galvanised, Land Rover, Land Rover Ninety, mot, Parts, rebuild, Start, Wirral on April 18, 2015 by landyrebuilds. Well after a busy 8 months Matthews car has been finished and has passed its MOT. The details of the rebuild have been missing during the process but hopefully we will make a post that covers all the bits we went through. To celebrate we took the cars to the pub for a pint. 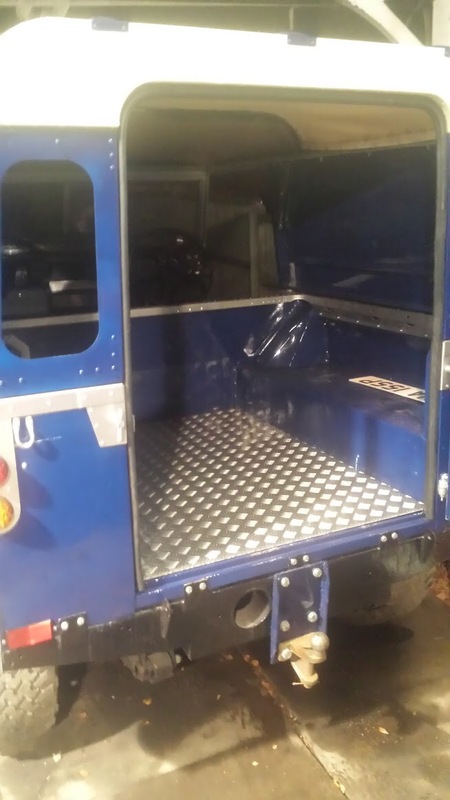 This entry was posted in Post Rebuild and tagged 1977 Series 3, finished, Land Rover, mot, Wirral on December 1, 2014 by landyrebuilds. We’ll best laid plans for an MOT Saturday morning went out the window when the garage said all slots were taken. But they had some today late on. So I took the offer of a 4:15 slot, after a quick check of all the lights and other critical bits set off for the test station. On the way we stopped briefly as the engine started running a bit warm, letting it cool we then got to the test. Left the car for a good while while looking at the freshly galvanised rock sliders that returned today, more about those over the weekend as they are fitted. Upon our return to the test centre we were greeted with smiles and good news. The car had passed with 2 advisories, one for an oil leek we think is coming from the rocker cover. The second is a pas fluid leak coming from the top of the box where our new pipe is bolted in. So now the car is passed we will look to solve the little issues noticed on the road and tax the car from Thursday 1st May. 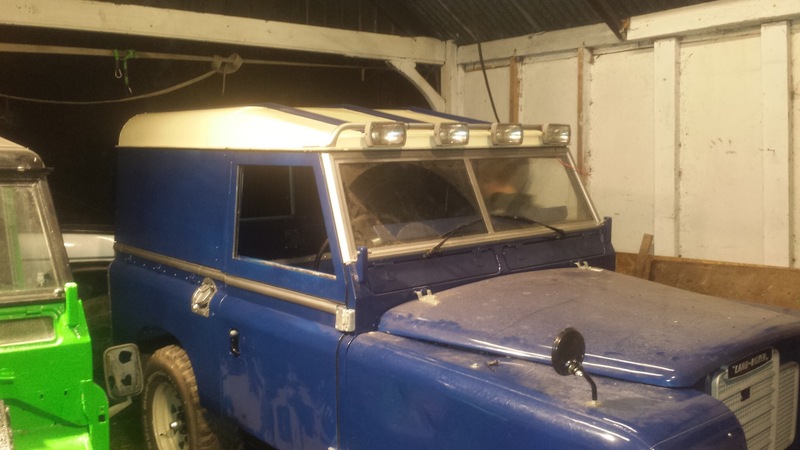 This entry was posted in 1983 Ninety and tagged 1984 ninety, Land Rover, mot, rebuild on April 25, 2014 by landyrebuilds.